What Has Changed in York in Fifty Years? In York, especially in business we’ve seen monumental change with the rise of the internet along with the advancement of modern technology. From swift ways to pay for groceries in a supermarket (something that was very new fifty years ago) to pizza delivery and being able to book absolutely anything online, the world has moved on. Even libraries allow downloads and connections to the internet while CCTV has made us more secure. All of these things make our lives easier and more convenient but how have we changed as a York Removal firm? Just like the song, the York removals firm is very much hands on, relying on hard honest graft to get the job done. We’ve progressed in the way that we have new tools so we don’t have to worry about taking off the handles, or the ceiling, but we still lift items together, and use common sense to make sure we don’t scratch walls while getting them through the doors. Our vans are shinier and use less fuel and some even have lifts for heavier items but they’re not that different from fifty years ago. We may have sat nav but nine times out of ten we still prefer looking at a map, it helps us find parking spaces and ensures we end up at the right place – from the country houses to the student digs. One of the major developments we have embraced is the internet. 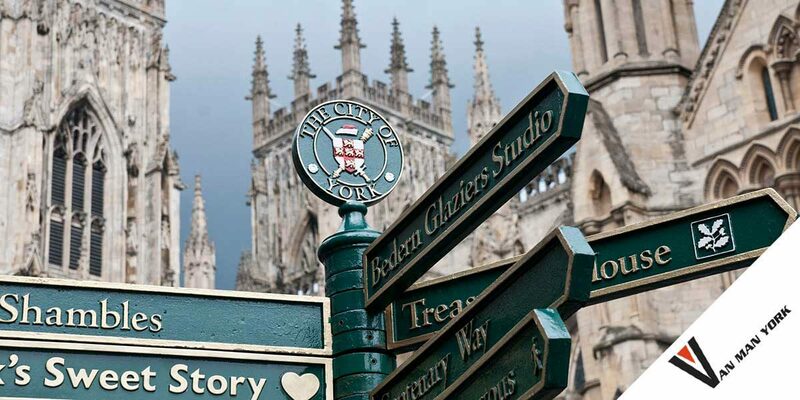 We love that our customers simply search for van man York or York removals and then connect instantly. We hope to develop this further still. It’s also great when we connect with you as a community through Facebook, as a local York removals firm it helps us to put faces to names. Though we take advantage of new technology, we keep in our heart the traditions and charities close to home.